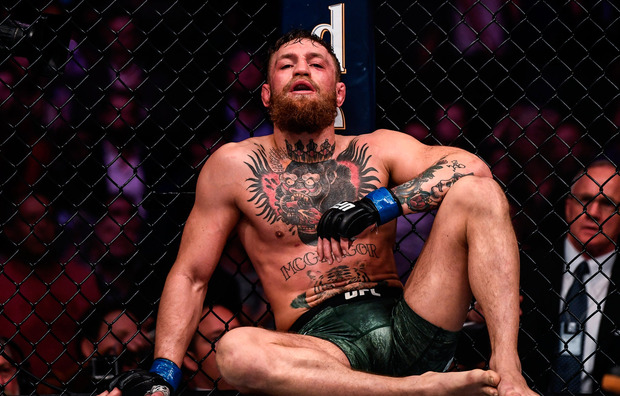 He then became involved in an altercation with two of Nurmagomedov's team-mates immediately after his loss, eventually leaving the T-Mobile Arena surrounded by police officers and security guards. And McGregor's coach, John Kavanagh, has admitted that he has not spoken with McGregor since that night. "I suppose in a week or two we'll sit down and assess what went right [and] what went wrong," Kavanagh said on American mixed martial arts show Ariel & The Bad Guy. "This may actually surprise you but I haven't spoken to Conor since the fight. "We had a couple of texts back and forward. So, after the fight he went home. I went home as well. We were in separate houses. So I was there with Artem [Lobov], Pete [Queally] and Orlagh [Hunter]. We just stayed up Saturday night, chatting. "There were a couple of texts back and forward with Conor - saying, oh I could have done this, I could have done that - then on the Sunday I ended up going out for a little bit with Dillon [Danis] and a couple of guys from Paradigm." "It's always been a concern, but that's what made him who he is... we're always vying for his attention," he added.